This is a question that foments hot discussion and debate. It is interesting to observe how learned men and women, when presented with a question asking them to elaborate on who the ancient Biblical Hebrews were, they cannot generate an answer but can give answers to everything else. But the evidence is clear in the Hebrew Scriptures. The ancient Hebrews of the Bible were black Northeast Africans! We have been taught that the so-called "Holy Land" is in the "Middle East." But the so-called "Middle East" conveniently created by Western cartograhers is a political jingoist invention craftily implemented to obscure the true identity ("racially" and otherwise) of the Biblical peoples, particularly the ancient Hebrews of Holy Writ. Abraham the so-called "founder of Judaism" (a misnomer) is a Chaldean who lived in Mesopatamia or, biblically speaking, "Ur of the Chaldees." Chaldea was also known as Babylon, and now Iraq which is located not in the so-called "Middle East" but in Northeast Africa. Abraham received a vision from God and a commandment to sojourn to the land of Canaan (modern-day Palestine or "Israel" a designation hijacked by the Zionists). Genesis chapter 11:31-12:9 gives us the account of this sojourn: "And Terah took Abram his son, and Lot the son of Haran his son's son, and Sarai his daughter in law, his son Abram's wife; and they went forth with them from Ur of the Chaldees, to go into the land of Canaan; and they came unto Haran, and dwelt there. And the days of Terah were two hundred and five years: and Terah died in Haran. Now the LORD had said unto Abram, Get thee out of thy country, and from thy kindred, and from thy father's house, unto a land that I will shew thee: And I will make of thee a great nation, and I will bless thee, and make thy name great; and thou shalt be a blessing: And I will bless them that bless thee, and curse him that curseth thee: and in thee shall all families of the earth be blessed. So Abram departed, as the LORD had spoken unto him; and Lot went with him: and Abram was seventy and five years old when he departed out of Haran. And Abram took Sarai his wife, and Lot his brother's son, and all their substance that they had gathered, and the souls that they had gotten in Haran; and they went forth to go into the land of Canaan; and into the land of Canaan they came. And Abram passed through the land unto the place of Sichem, unto the plain of Moreh. And the Canaanite was then in the land. And the LORD appeared unto Abram, and said, Unto thy seed will I give this land: and there builded he an altar unto the LORD, who appeared unto him. And he removed from thence unto a mountain on the east of Bethel, and pitched his tent, having Bethel on the west, and Hai on the east: and there he builded an altar unto the LORD, and called upon the name of the LORD. And Abram journeyed, going on still toward the south." Jose V. Malcioln in his revealing and brilliant work The African Origins of Modern Judaism tells us of the historical context in which Abraham lived, "When the Hebrews came to this land from Babylon they called it Eretz Cana, Land of Canaan. The Zionists later called it Eretz Israel, the Land of Israel. 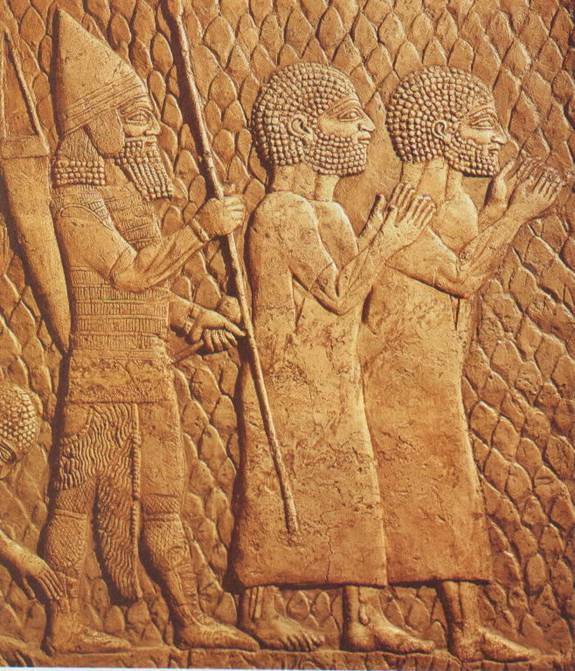 These Babylonians who became Hebrews (emphasis added) or Canaanites were descendants of Nimrod, a black son of Ham. They arrived with Abraham, the rosh aboth, or patriarch and founder of the Hebrew colony." He also adds, "Abraham's countrymen were Bedouins. 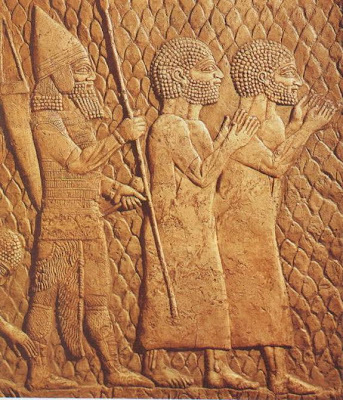 These Babylonians worshipped the sun, djinns, spirits, fetishes, totems, and idols. They celebrated ritualistic festivals, practiced magic, and prayed and shouted to Baal, Saboath, Theraphim, and other gods." I am reminded of what Joshua said of the Hebrews in Joshua 24:2, "And Joshua said to all the people, 'Thus says the LORD God of Israel: 'Your fathers, including Terah, the father of Abraham and the father of Nahor, dwelt on the other side of the River in old times and they served other gods.'" Malcioln states, that "Abraham their patriarch, is said to have crossed the Jordan (or Euphrates) every Friday night-the Sabbath eve-to preach monotheism to the people of Canaan. Abraham taught the Canaanites the exaltation of the Supreme God above all other gods. His proclamation was Shema Israel Adenai Elohenu Adenai Ehad! It meant: Hear O Israel, the Lord our God is One! The Lord is One!" Malcioln further illustrates, "...the Canaanites began to call Abraham and his relatives and follwers 'Habiru, Habiru!' It meant: people from across the river. Reinach stated that they were also called 'Hibri,' menaing immigrants from the other side of the Jordan or Euphrates rivers. For the natives of Canaan, the name Hibri, in their language akin to Hebrew, 'a people from beyond.' (emphasis added) In any case, the thoroughly researched etymological and historical derivation of the word is established. 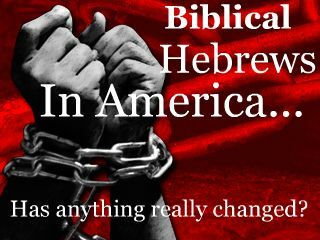 Its translation became Hebrew (in English), Hebreo (in Spanish), Ebreo (in Italian), Hebreu (in French), and Hivrit (in Hebrew)." There is certainly more to share on the anthropological beginnings of the ancient biblical Hebrews. It is the intention of the author and poster of this blog entry to shed light on the identity of a people whose past is repressed by racism and deceit. The group to have the oldest form of Judaism is the Falashim or Beta Israel (House of Israel). They are the so-called black Jews of Ethiopia. The Falashim, who were called Sabeans (descendants of Seba-see Gen. 10:7), established the first Hebrew kingdom after the diaspora (circa the destruction of the Second Temple in 70 A.D. by Titus. Malcioln concludes, "It is from Africa that Judaism emanated and flowed into all directions reaching Europe, a continent only 2,000 years old in recorded histories." To this day the Falashim are discriminated against and are treated as second-class citizens in Zionist "Israel." 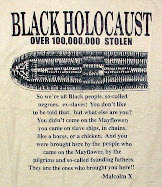 It is the assertion and conclusion of the author and poster of this blog, based on the voluminous biblical, historical, geographical, archaeological, anthropological, and biological data and evidence, that the legacy of the Ashkenazim (white Eastern European Jews) is in fact a stolen one that was able to be hijacked through their control of the media as it is expressed through literature, television, the internet, etc. which has misshaped and rigged the Western mind to think that these people are in fact the descendants of a lineage of men named Abraham, Isaac, and Jacob. It is one of the biggest hoaxes in history that the world has had to endure and live under, though sadly the majority being ignorant of the facts, including so-called "scholars", among whom many I believe deliberately conceal and repress the facts. The book The African Origins of Modern Judaism by Jose V. Malcioln is unsurprisingly out-of-print. I obtained a used copy from the U.K., a serious indictment against my own country. Though I came to this site by accident, I believe these type of "accidents" do not exist. Being a "globetrotter" since the age of 2, and living in more than 10 countries (I am originally from the USA), I herald your accomplishments on the Word of God. However, believe it or not, there are some White Bible Scholars that are starting to reveal the truth about the Black people in the Bible. I was exposed to that in the mid-1970's, where my son and me where the only Blacks in the church I was attending. It was so refreshing. Since that time, I recently spent 7 1/2 years in the Near East, and discovered lots from them. They verify what you are saying. Keep revealing the truth, for it is the truth that sets us free!